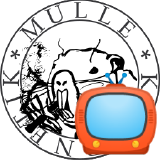 The class library of mulle-objc is the MulleFoundation. For compatibility its name is shortened in #import statements to just “Foundation”. e.g. #import <Foundation/Foundation.h>. The MulleFoundation is assembled on a per-platform basis from various components. The dependencies are managed with mulle-bootstrap. If you clone the MulleFoundation repository, mulle-bootstrap will fetch and build all dependencies. git is used by mulle-bootstrap to download the dependencies. cmake is a cross-platform Makefile generator. It is used instead of autoconf because it is somewhat easier to use and is available on more platforms (Windows). 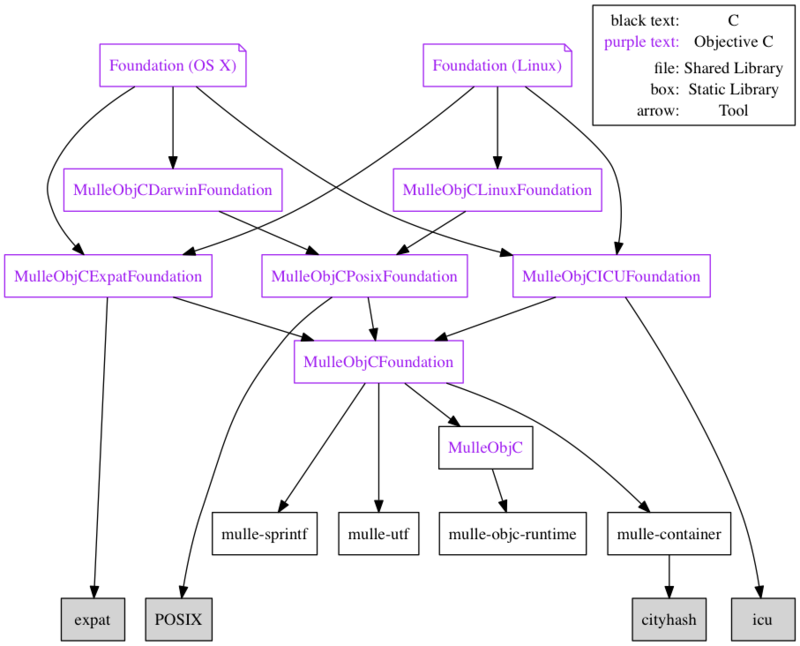 The mulle-clang compiler is needed to compile the various frameworks. They do not work with a different Objective-C compiler. mulle-utf A unicode library for detection and conversion of Unicode strings. The Foundation is designed so that you can add and remove Features cleanly and quickly. You don’t have and want Expat/XML ? libicu is too heavy and you don’t need NSCalendar ? Drop MulleObjCICUFoundation from the build. You want to support another platform ? Don’t obscure the code with #ifdefs but add your platform specific code in categories like MulleObjCDarwinFoundation does. MulleObjC and MulleObjCFoundation should be ready to run on any platform. For a new platform, try to build on top of MulleObjCPosixFoundation if possible. Otherwise consider creating a MulleObjCCommonFoundation and extracting reusable code from MulleObjCPosixFoundation to MulleObjCCommonFoundation. Then build your MulleObjCPlatformFoundation on top of this MulleObjCCommonFoundation. If you want to run a different class library with mulle-objc, it would be probably easiest to build on top of MulleObjC. MulleFoundation, technically speaking was published on May 23, 2016 . 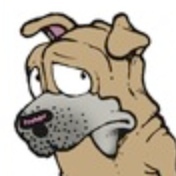 The isa pointer, killed by Apple - resurrected by mulle-objc ? © 2019 Nat!. Powered by Jekyll using a customized fork of the Minimal Mistakes theme. 100% Google free.